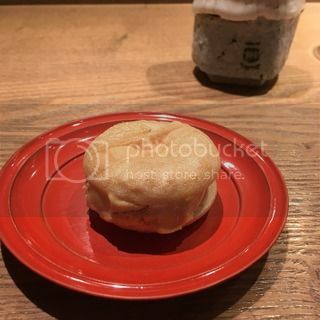 On another evening, I met Akiko in Nishi-Azabu for dinner. 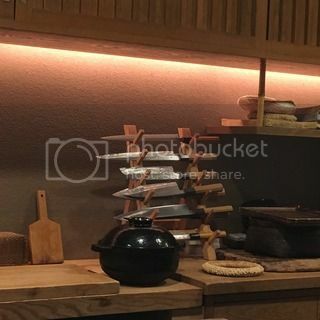 We had a reservation at Jushu, a very small hidden Japanese restaurant in a residential block of the area. 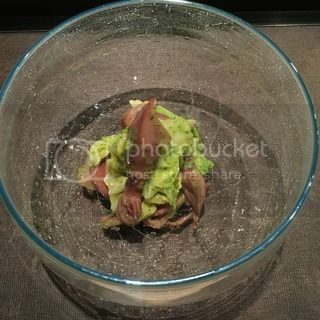 At Jushu, Chef Senzaki offers one seasonal omakase dinner course menu every night. 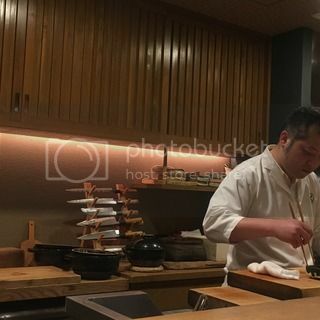 He is from Saga, Kyushu and had an extensive experiences cooking at fine dining in Osaka. 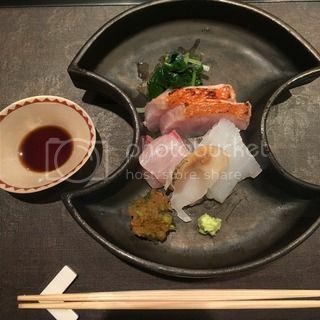 He moved to Tokyo and opened Jushu a few years ago. Hotaru ika (firefly squid) and spring green cabbage in s-miso (vinegar miso) sauce. 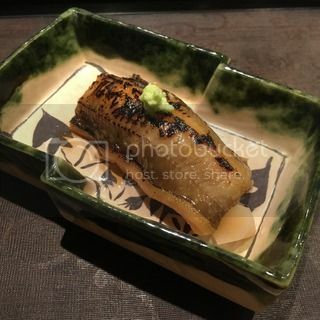 Anago (sea eel) nigiri sushi. 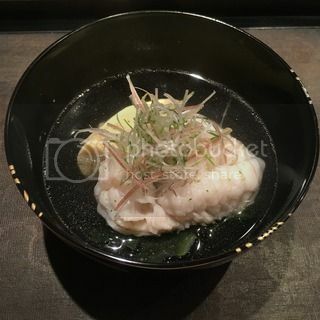 Steamed ai-name fish with bamboo shoot and wakame in dashi broth. Sashimi plate of kombu-cured kinme-dai (skin was broiled), shima-aji, bai-gai, and kensaki-ika. Fried sakura-dai and taranome. 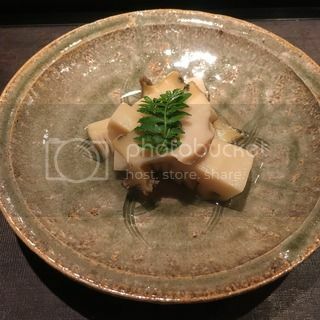 Simmered abalone and bamboo shoot. 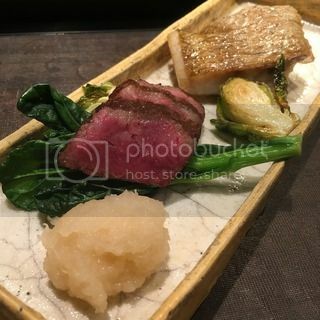 Grilled Saga beef ichibo (marbled bottom) and nodoguro fish. At Jushu, Chef Senzaki cooks special Saga rice in our double-lid donabe rice cooker, Kamado-san!! 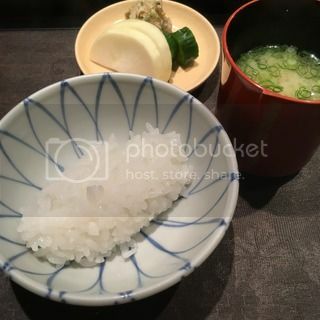 I actually didn't know about it until I came here, so it was a wonderful surprise and the rice was INCREDIBLE. Dessert was caramel ice cream monaka (stuffed in thin rice wafers). 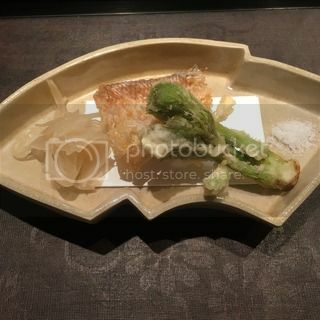 It was a real incredible dinner and every dish was so memorable. I would really love to come back here again.